Working in the adoption world, I hear a lot of the bad things, and not enough of the good. As I work through my own adoption issues, I have noticed how easy it can be to focus on the negative. I can only imagine what it must be like for an adoptive parent to always hear about the negative things in adoption, or even the fairytale adoption stories that seem somewhat out of reach. 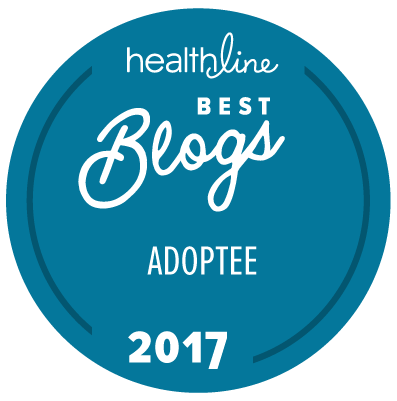 While I believe it’s important to educate adoptive parents on the issues that may arise in adoption and prepare them as much as possible, I also believe that it’s important for them to hear messages of hope and to hear about what went right, as well. When I think about what my parents did right, my thoughts go directly to a conversation I had with my dad years ago. I was nearing the end of my college years, and I was heavily into the notion of “saving the world”. My dad and I had just finished running an errand, and we were sitting in his car in my parents’ garage, finishing our conversation. The subject somehow switched to adoption, and my naïve, younger self told him that my husband and I wanted to adopt someday so we could give a child a chance at a better life. I had always assumed that was my parents’ reason for adopting, and I was shocked, at the time, by his response. He told me that he and my mom adopted my sister and me for “purely selfish reasons”. He went on to tell me that they adopted us solely because they wanted to add to their family and chose to do so through adoption. My “save the world” self didn’t fully understand it at the time, but I now look back on that conversation and could not be more proud of my parents. They went into adoption for all the right reasons. For them, it was never about “saving” a child—it was always about forming their family. My family never really talked that much about adoption when my sister and I were growing up, but it was never a secret that we were adopted. When my parents chose names for us, they ensured that we would always have a part of our Korean heritage by using our Korean surnames as our middle names. They raised us to be proud of our Korean heritage by sending us to culture camp, reading us stories in which the characters were Korean, giving us Korean hanboks, and making Korean meals. 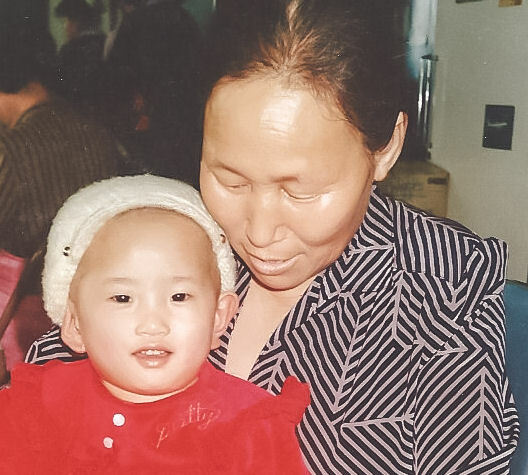 My parents never received training on how to be transracially-adoptive parents, but they honored and embraced our Korean culture in many wonderful ways. My mom made scrapbooks for my sister, my brother, and me. The concept of a lifebook was not well-known when my sister and I were adopted. While our scrapbooks weren’t lifebooks, there were some similarities. I have looked through mine so many times throughout the years, that I memorized many of the pages. Since I didn’t have anything from my first year of life, my scrapbook begins with cards from family and friends congratulating my parents on my adoption. The beginning of my scrapbook also includes my adoption records, including information on when, where, and how I was found. They include my very minimal medical history while in Korea. They also include a report from my foster mother and information on my physical and emotional development. My scrapbook contains my passport, my referral pictures (the closest thing to baby pictures that I’ll ever have), and my naturalization papers. My scrapbook also includes things like my baptismal certificate, report cards, school performance programs, artwork, certificates of achievement, etc. Our scrapbooks have always been in a place where we could look through them whenever we wanted. I probably looked through mine more than anyone, as it very much was the story of my life, and I wanted to know as much as I could about who I was. It contained the good things and the bad, and I could read about things I never knew about myself and the early years of my life. In creating these scrapbooks for us, my mom didn’t hide the details about our adoption, and allowed us to learn, in our own time, about our life in Korea and how we came to be adopted. My sister, my brother, and I had similar upbringings in the sense that my sister and I weren’t treated differently because we were adopted, and my brother wasn’t treated differently because he was my parents’ biological son. My parents encouraged us to do well academically and supported our extracurricular endeavors. They raised us in their faith and taught us the importance of volunteerism from a very young age. We were loved, we were supported, and we didn’t want for anything. I think the most important thing my parents did right was supporting us through the good and the bad. While I definitely had my moments during grade school, I was a pretty good kid and did well in school. For the most part, it was smooth sailing until I reached high school. I really put myself and my parents through the ringer during high school and part of college. I was pretty much an awful teenager and I did a number of things I am not proud of. I was not very loveable and I did a lot of things to isolate myself from my parents and the people I loved and cared about. I can’t imagine how difficult that period of my life must have been for my parents, but they weathered the storm with me. I fought hard to push them away, and they fought hard to show me they weren’t going anywhere. My parents did a wonderful job raising my sister, my brother, and me. I don’t fault them at all for my adoption issues, as they are my issues and stem from losses that occurred before I joined my family. The only thing I wish we had done differently was talk more about adoption, though I understand that, while my sister and I were both adopted, it’s not the only thing that makes us who we are. My parents supported me in forming my own identity and provided me with opportunities to pursue my ever-changing interests and aspirations that are part of who I am today. Though I harbored many insecurities (and still do), there was never any doubt that my parents loved me. They celebrated my successes, and they weathered the storm with me. They sought help when they didn’t have the answers, and they truly moved mountains to get me to where I am today. I am so incredibly proud to be their daughter. That was one of the most moving, honest and hopeful essay on what adoptive parents can do right that I have read. Thank you. One suggestion to improve the reading of this article: Before each section where you make a new point about what your parents did right, I recommend a short heading in bold. That will help people quickly scan your article for the key points. Again, great job! I will be recommending this on Adoption and Paper Pregnancy on Facebook. Thanks so much, Delana! Love the answer you have for your daughter! I’m curious, have you ever had conversations as an adult with your parents about your “difficult years?” Do they have the same perception of those times as you, or are you maybe being a bit harsh on yourself? Growing up, no matter who you are, is a challenge. We are discovering ourselves as beings separate from our families. It’s a pretty dark time in our lives that we don’t usually care to revisit. I am definitely hard on myself by nature, so I wouldn’t doubt that I view that period of time differently than my parents. This brought tears to my eyes. Thank you yet again for another thoughtful post. I’ll share the link. thanks for posting the link on the Creating a Family Facebook Support Group. I’m so glad that person asked you that question at that conference. I enjoyed seeing what your parents did right through your eyes. I am, too! It was a great question. Thanks so much for your comment! Beautiful and hopeful Christina – thanks so much for sharing this! As an adoptive parent – I know we need to hear the good stuff once in a while! You are such an amazing person, and I have so much respect and admiration for you and all you do! This means so much, coming from you, Sue! Thank you! That’s really nice. For you. I wasn’t raised as well. I was told I was stupid , odd. I wasn’t taken to the dentist. I wasn’t allowed to sleep over at friends houses. I wasn’t exposed to my adoptive parents relatives. I wasn’t told I was adopted. I’m nearing 50 and no one in the family wants to talk to me about the fact that I am adopted. I thought I was stupid. I just thought they didn’t love me and that it was some fault of my own that I couldn’t figure out, because I wasn’t smart enough. It is nice to hear nice stories. I wish it were mine. Great article! We have many similarities. My parents were always open too. OUR blogs also have the same background. 🙂 Thank you for your blatant honesty and positive attitude.